Last week, The Royal Bank of Scotland (RBS) announced the end of its 20-year-old relationship with payment processing company, Worldpay, in favour of US processor First Data Corporation (FDC). In this article, I’ll investigate what caused the split after 20 or so years of cooperation. I’ll also discuss who comes out best and who comes out worst. Worldpay’s relationship with RBS dates back to the turn of the century when it operated under the brand Streamline. At the time, Streamline was part of the NatWest Bank, which was acquired by RBS in 2000. Back then, Worldpay was primarily a UK point-of-sale card processor and RBS provided over 90% of its new business referrals — some 40,000 merchants per year at its peak. Without the RBS referral relationship, Worldpay would have lacked scale and simply would not have grown into the business it is today. In 2010, RBS sold Worldpay to Advent Internation and Bain Capital. A key aspect of the transaction was the continuity of referrals. 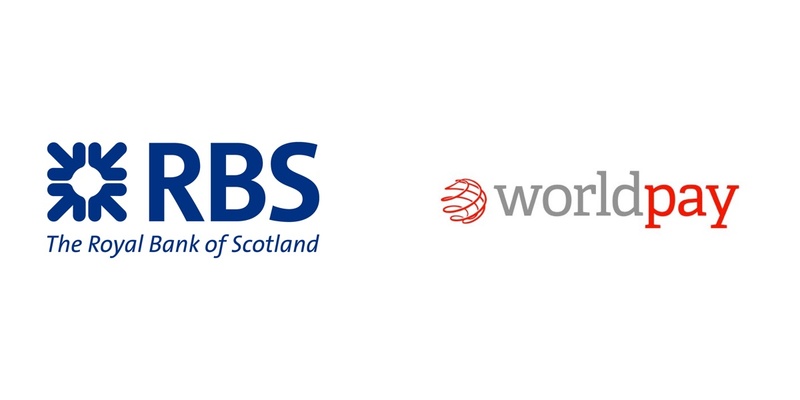 RBS and Worldpay entered into a formal exclusive referral contract to ensure Worldpay would continue to benefit from referrals from RBS’s commercial teams and extensive branch network. It’s no secret that in the eight years since that transaction, the RBS referrals have dwindled in volume and are now of much less valuable to Worldpay than in 2000. RBS has had its own very public issues to deal with in that period, reducing its commercial and retail bank’s capability to refer merchants. Additionally, with Worldpay becoming an external third-party, the incentive and internal pressure to achieve referrals dwindled. Worldpay, to its credit, foresaw this drop off in RBS referrals and took steps to reduce its reliance on RBS. In 2010, Worldpay acquired the UK’s largest Independent Sales Organisation (ISO), Cardsave, to develop its own field sales team. Additionally, Worldpay has continued to materially grow its eCommerce business, which traditionally sources new business out with the bank referral network. Worldpay’s 2017 merger with Vantiv Inc. doubled the overall size of Worldpay and made the RBS referral relationship far less material than it had been historically. WorldPay estimates the RBS referral contract generates c.$4.8m of new business net revenue per year, which is only 0.1% of WorldPay’s total revenues. However, over 10 years amounts to c.$250m, which isn’t small — even for Worldpay. Why did RBS dump Worldpay? So, why did RBS choose FDC over Worldpay? In these situations, the incumbent normally has a material advantage in retaining the contract over the new entrant. After all, the incumbent knows the business very well and has a very accurate picture of its value. The new entrant, on the other hand, has to make key assumptions and judgements, often with little data to base these on. There is also a massive risk for RBS in changing partners and venturing into the unknown. So its always a surprise when these contracts change hands. The short answer is yes. Payment can take numerous forms, including an upfront inducement payment, a payment per referral, a share of profits, cost contributions or a combination of all of these. After 20 years, Worldpay will have a very clear view on the value of the RBS contract and what could realistically be done to improve that value. Worldpay would not have been prepared to pay a penny more than this valuation. FDC, on the other hand, would have no visibility of key value points other than the selective data provided by RBS. A new entrant is always overly-confident of its ability to improve a trading relationship and deliver additional value. So, even if FDC’s decision making was based on the same data as Worldpay, it would undoubtedly have viewed the future with rose-tinted spectacles. Does FDC have a superior product? This time, the short answer is no. Sure, FDC has a very successful EPOS offering in Clover but its core card acquiring proposition is no better or worse than that of WorldPay or any other acquirer for that matter. What this decision also tells you is that Worldpay’s acquiring proposition is in no way superior to the rest of the market either. RBS has evaluated both products and seems to have reached the conclusion that acquiring is very much a commodity and that either product could meet its customers’ needs. This is something I have been preaching for years to SMEs and small corporates. Acquiring is a commodity with very little differentiation of product or service between the players. That message is increasingly starting to sink in and fewer merchants these days seem scared to leave the apparent safety of Barclaycard or Worldpay. However, there are still some who believe they are paying more for a superior service. Unfortunately, they’re not; they’re just overpaying! Merchants should be prepared to follow RBS’s example. It seems pretty clear to me that RBS has made value its number one criteria in evaluating its acquiring partner and not some subjective measure of customer satisfaction or boasts of global coverage or alternative payments options — none of which matters a whole lot to UK merchants. Acquiring is a commodity and merchants really should be evaluating a commodity based mainly on price! So, if we start viewing acquiring as a commodity, how do you find the best deal? It’s simple, you search and compare then select the best value offer! While you could do that manually, it’ll take you several days and cause untold stress. Instead, I recommend you use a comparison service like Cardswitcher. As the only specialist price comparison website for merchant services in the UK, we make sure that you find the best deals out there. We have partnerships with many leading ISOs and allow users to search, compare and select merchant service deals from across the market. And unlike referral sites, we don’t release your data to anyone unless you tell us to. We give you all the information upfront, allowing you to make an informed decision without hassle. Our comparison process only takes about two minutes and can cut a huge chunk off your card processing bill. Click here to see for yourself. Card Processing: Who is who?